Casino games are inherently exciting, thanks to their interactive nature. 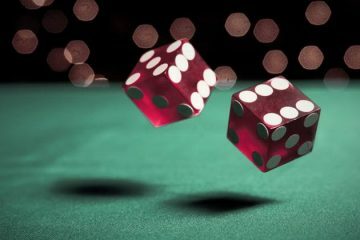 The prospect of correctly predicting a dice roll, or roulette spin is thoroughly entertaining. The anticipation of betting on slots, or calculating the probabilities of pulling the right card in blackjack or baccarat far outweigh the appeal of other social games. Nowadays, it’s entirely possible to play live dealer casino games in real time, courtesy of secure feeds from authentic venues. Our top 10 casino countdown begins in earnest! Blackjack is the quintessential skill-based casino card game. It is played fast and furious against the dealer, not against other players. 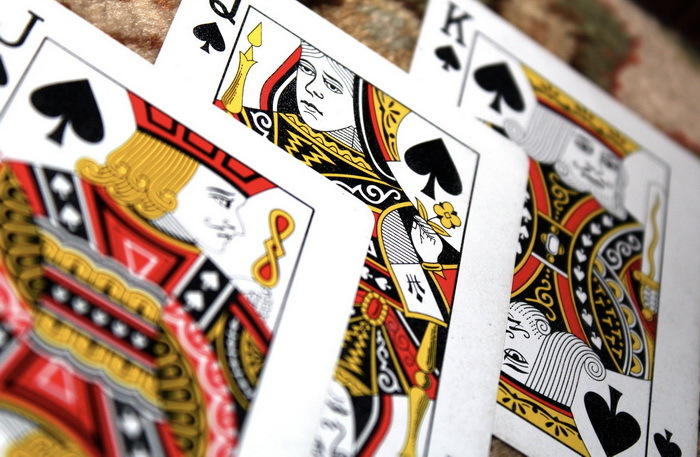 With blackjack, the objective is simply to beat the dealer’s hand total without exceeding 21. Players are dealt 2 cards face up, but only 1 of the dealer’s cards is visible – the other is face down. Based on limited information, players are tasked with making decisions. These include hit, stand, double, split, insurance, or bet behind. The rules of play for each blackjack variant will determine the minimum and maximum bets players can place. Blackjack is available in single deck and multi-deck variants, with multi-hand functionality available too. The most popular versions of blackjack include Classic Blackjack, Vegas Strip Blackjack, Atlantic City Blackjack, and Blackjack Switch. It is always a good idea for players to practice blackjack games in demo mode, before playing for real money. This game of skill is best played with specific blackjack rules in mind. These include blackjack payouts of 3:2, not 6:5. 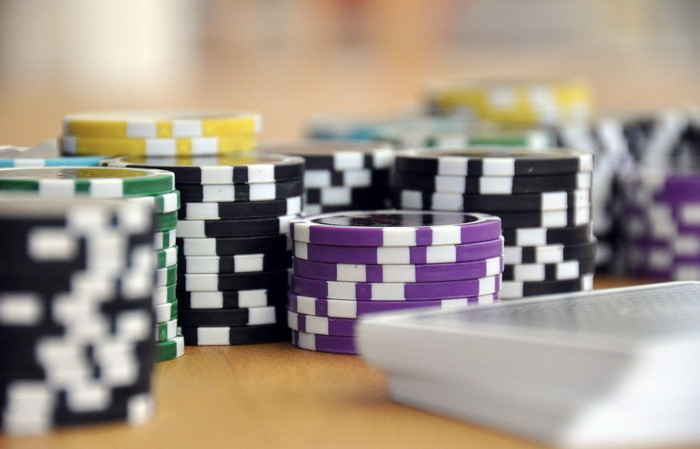 Additionally, it is always better if fewer decks are in play, making it easier for players to ‘count cards’ and use blackjack strategy charts and blackjack odds calculators. For many years Baccarat was perceived as a game exclusive to high rollers. This chance-based game is centuries in the making, and a house favourite with players at land-based casinos and online casinos alike. Baccarat is known by many different names, including Chemin de Fer, and Punto Banco. The name Baccarat is French for zero. In this game, all face cards (Jack, Queen, King) have a value of zero. The objective of the game is to pick the Banker Hand, the Player Hand, or a Tie Bet as the winner. There are specific rules of play, notably card values 1-9 retain their nominal value (face value), while face cards are valued at 0. The best number to achieve in baccarat is 9. The house edge on these games is typically just 1.17% on banker hands and 1.36% on player hands. Tie bets are also available, although the odds are unfavorable to players. The goal is to place bets on 2 or 3 card hands and to determine which one will get closer to 9. If the hand value exceeds 9, then 10 is subtracted. For example, 7+7 = 14. 14-10 = 4. 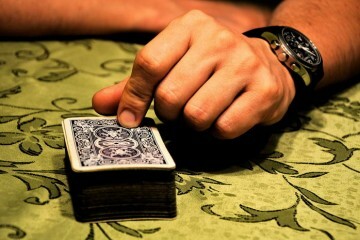 Player hands are played first, and if a total of 8 or 9 is reached, it is known as a natural and no more cards will be dealt. If the banker also draws a natural 9, or a natural 8, the naturals are automatically winners. Tie bets pay 8:1, but there is a 9.5% house edge. This game remains a hot favorite in 2018 for many reasons! European Roulette is the creation of a French mathematician by the name of Blaise Pascal. Invented centuries ago, this perpetual spinning machine/gambling game has become the most popular game at casinos around the world. 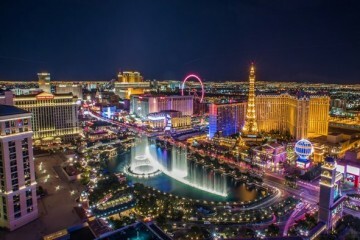 It is the poster child of gambling in Las Vegas, and certainly warrants a top berth on the most popular casino games of 2018. European Roulette features 37 numbers on the spinning wheel. These include a green 0, and numbers 1-36. There is a 1/37 chance of any individual number coming up in roulette. Each spin is fully independent of every other spin, making this the ideal chance-based casino game to play. 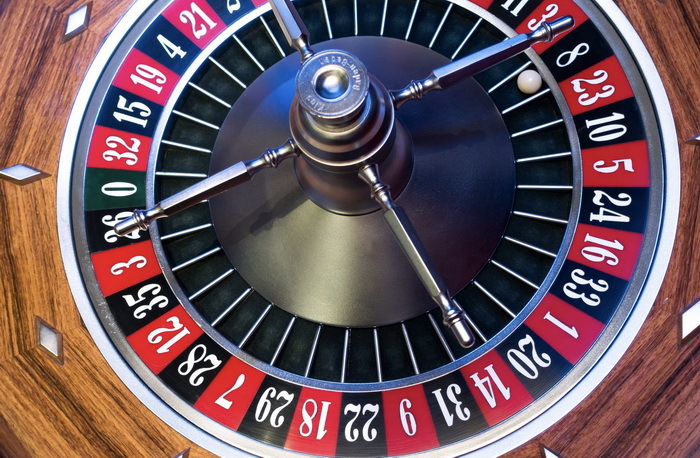 European Roulette features a house edge of 2.70%, with a range of bets available to players. These include inside bets on individual numbers or groups of numbers, and outside bets on various selections such as odds/evens, 1-18, 19-36, columns, first 12, second 12, third 12, red or black and other selections. 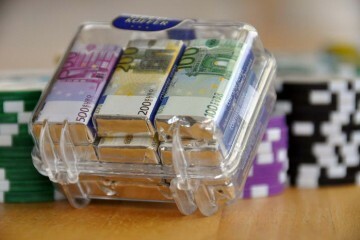 European Roulette games are universally loved by casual players and high rollers. Various betting systems can be used to manage bankrolls more effectively such as Martingale, Fibonacci, or D’Alembert, etc. European Roulette has alternating red and black numbers. Santa Claus is coming to town! With the Christmas season around the corner, this game has been enjoying rising popularity among slots fans. As we prepare to close out 2018 and usher in a New Year, Santa’s Super slot is cutting a swathe with players. The jolly old man in red and white is carrying a sack full of gifts as he blazes a trail across the midnight sky with his reindeer and sleigh. 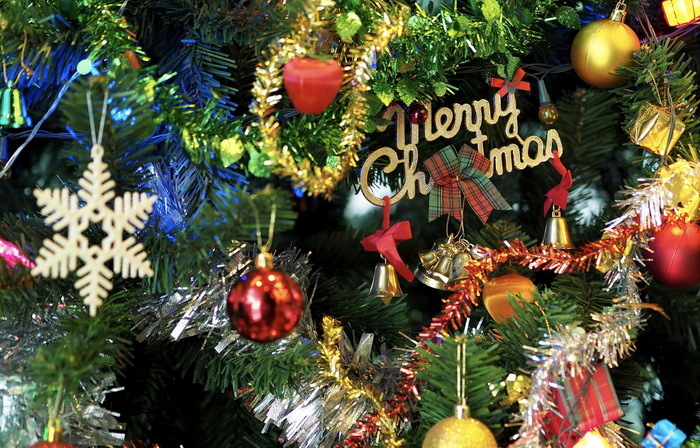 It’s mistletoe, free spins, progressive jackpots, bonus games, scatter symbols and wild symbols galore. With just 5 reels and 15 paylines, this game has everything players need to get into the festive spirit. French Roulette ranks above European Roulette in 2018. Players are continually seeking out games with a lower house edge which offer them the best opportunities to win money at the casino. French Roulette wheels are markedly different from European Roulette given the French wording in the game. However, there are intricate rule differences which make this variant of roulette much more enticing for players. Two rules in particular lower the house edge significantly – La Partage and En Prison. Simply put, if players have an even money bet and the ball lands in the green 0 slot, La Partage results in 50% of the bet being lost. En Prison is a unique rule whereby even money bets can be locked away until the next spin, effectively allowing players another opportunity to walk away with winnings. Much like European Roulette, there are only 37 numbers on the wheel. These include a single green 0 and numbers 1-36. The odds remain at 2.70%, however when the specific rules are brought into play, the odds drop to just 1.35%. For this reason, French Roulette is quickly climbing the list of most popular games in 2018. This is the anomaly on the list since American Roulette has the highest house edge of all the roulette variants. With numbers 0 and 00, there are 38 numbers on the American Roulette wheel. This means that the probability of any single number coming up is 1/38, or 2.60%. The house edge in American roulette is actually 5.26%, notably higher than the 2.70% of European Roulette or French Roulette. What makes this game so appealing is its popularity in the US and Canada. The regulation of online casino gaming in the US – New Jersey, Delaware, Pennsylvania – is boosting the popularity of American Roulette games. All the standard rules of play apply to American Roulette including inside bets and outside bets, with the same payouts offered. 1, 2, Freddy’s coming for you! 3, 4, better lock your door. 5, 6, grab the crucifix. 7, 8, don’t stay up late. A Nightmare on Elm Street is arguably one of the most terrifying slot machine games to hit the scene. It was released several years ago, but has gradually become one of the more popular slots on the scene. As its namesake suggests, this 888casino slot adventure is hauntingly eerie, scarily good, and freakishly fiendish. There are wilds and scatters, expanding symbols, real movie sequences, and payouts as much as 10,000 times the line bet. The Pick Me feature is particularly terrifying along with the musical score which will have you sitting on tenterhooks. A Nightmare on Elm Street has earned its rightful place at #5 for the most popular casino game in the world. winning opportunities to players with an aptitude for video poker games. Players are dealt 5 cards face up. The objective is to score a pair of Jacks or Better. 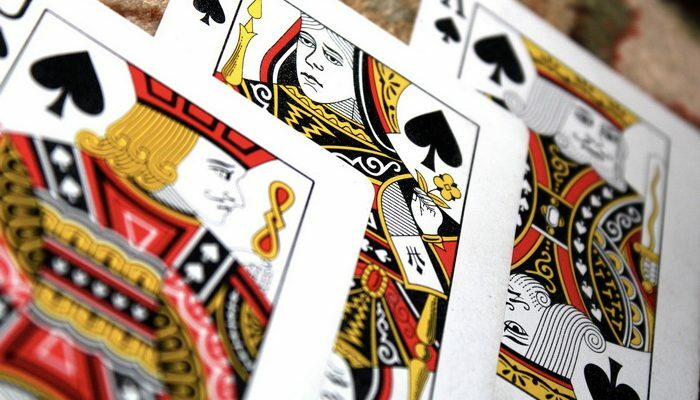 The ranking system includes Jacks or Better, two pairs, three of a kind, straight, flush, full house, four of a kind, straight flush, and a royal flush. The biggest payouts occur when 5 coins are wagered and a royal flush is struck. Then a 4,000-coin payout awaits players. Jacks or Better allows players to collect their winnings, or to double winnings by gambling on the outcome of the next card. Variable coin values start as low as 0.05 and go as high as 30.00 in demo play mode. Casino Hold’em is universally loved by poker fans. This game of skill pits player against dealer in a battle royale for the strongest-ranking hand. This game requires the placement of an ante bet. Next up, 2 cards are dealt to the player, and 2 cards are dealt to the dealer. The dealer’s cards are face down. This is followed by 3 community cards known as the Flop. The goal of this game is to form the strongest-ranking 5 card hand. This is made up of 2 pocket cards and 3 of the 5 community cards. Players have the option to fold, call, or bet. At each stage, additional community cards are dealt, known as the Turn and the River. Once the dealer flips over the 2 pocket cards, the player or the dealer wins the hand. Wild Saloon is a Wild West-themed slot machine adventure featuring a bonus game and free spins. It’s pistol packing fun which is played fast and furious at the online casino. This thematic masterpiece of a slot game features 5 reels and 40 paylines of rampant action. Players go up against bandits in a thrill-a-minute adventure through a saloon. There’s drinks and brawls, shootouts and plenty of gold coin waiting for winners. With multipliers up for grabs, Wild Saloon is the game to beat.